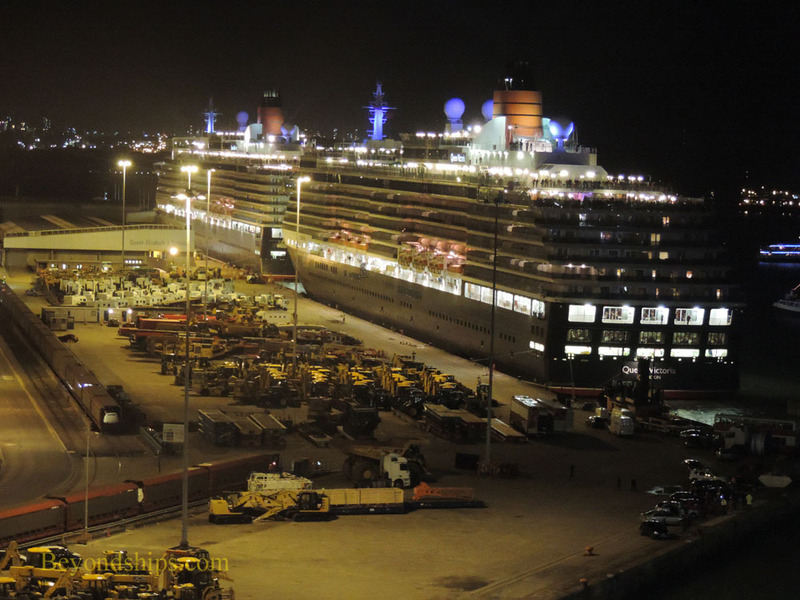 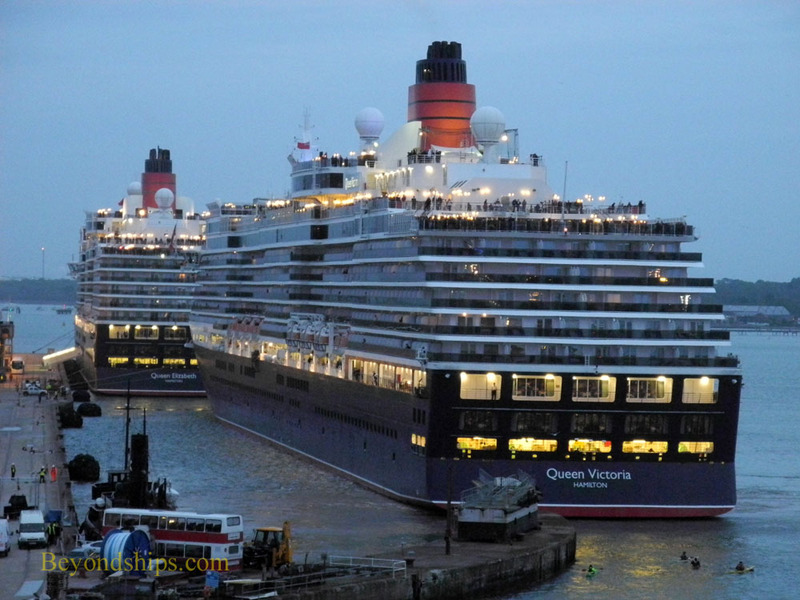 The evening festivities began at dusk when Queen Victoria left the City Terminal and took up a position behind Queen Elizabeth at the Queen Elizabeth II Terminal. 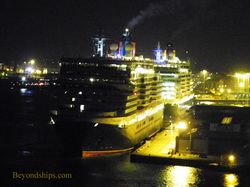 Whereas the two ships had been bow-to-bow in the morning, they were now bow-to-stern approximately 30 meters apart. 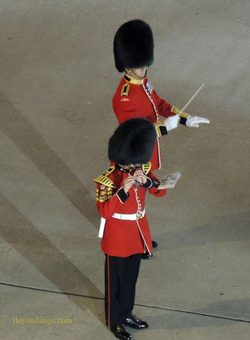 As the ships made ready to depart, the Guards appeared on the piers to give the ships a musical send off. 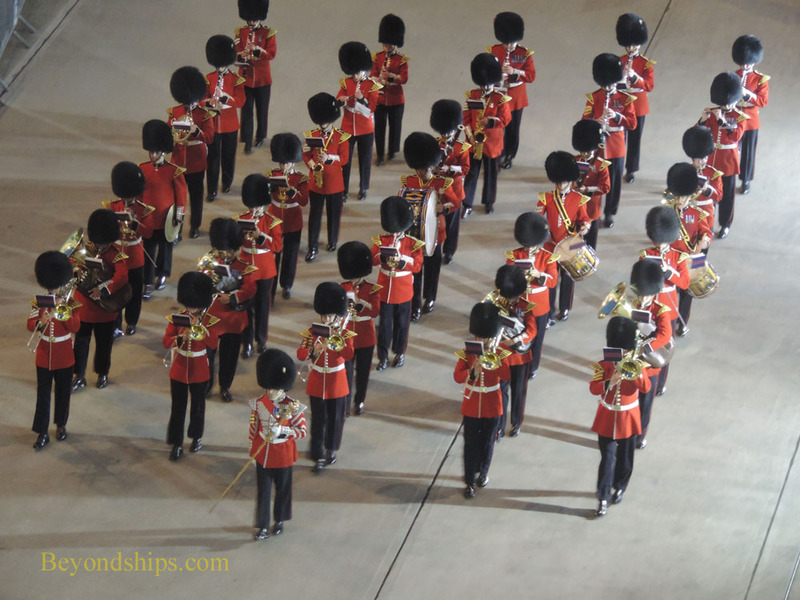 The Band of the Welsh Guards played for the Queen Mary 2 and the Band of the Scots Guards played for Queen Elizabeth and Queen Victoria. 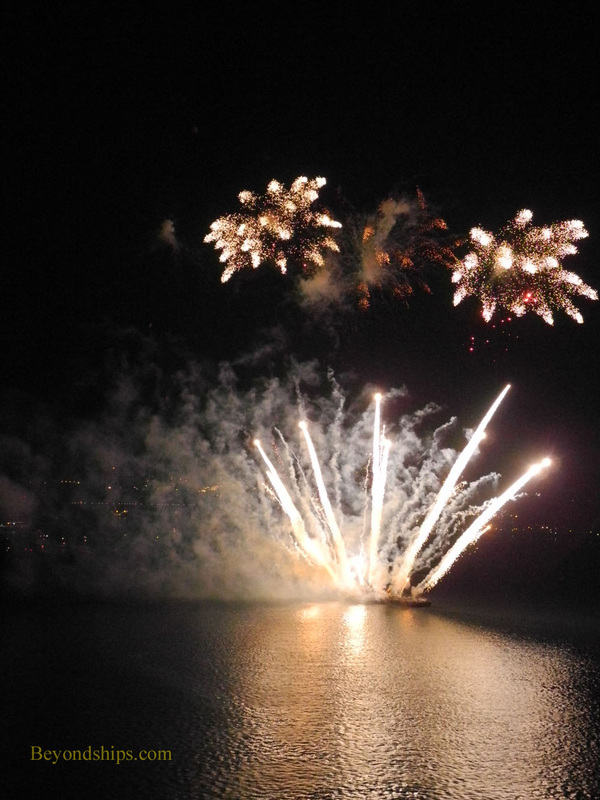 Boats of spectators earlier in the evening. 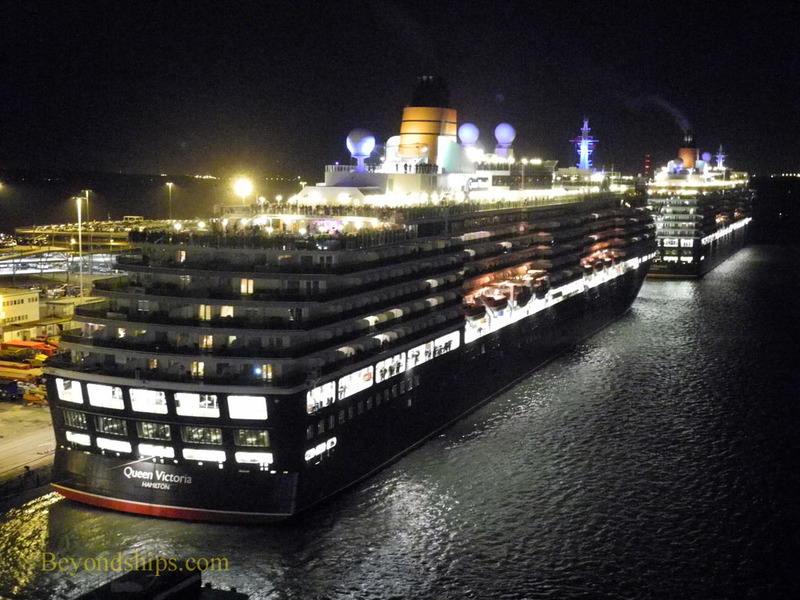 Shortly before 10 p.m., QM2 sounded her horns to warn the boats of spectators that she was backing out of the slip. 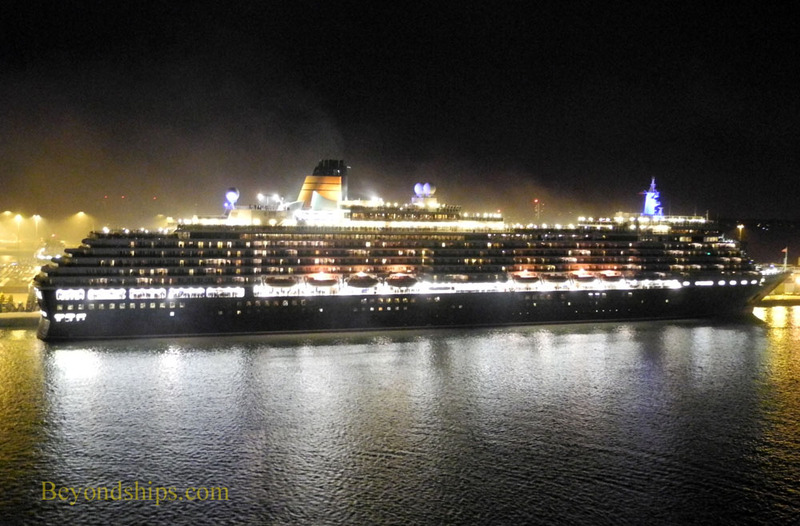 Passing astern of Queen Victoria, QM2 turned so that her bow was facing down Southampton Water towards the sea. 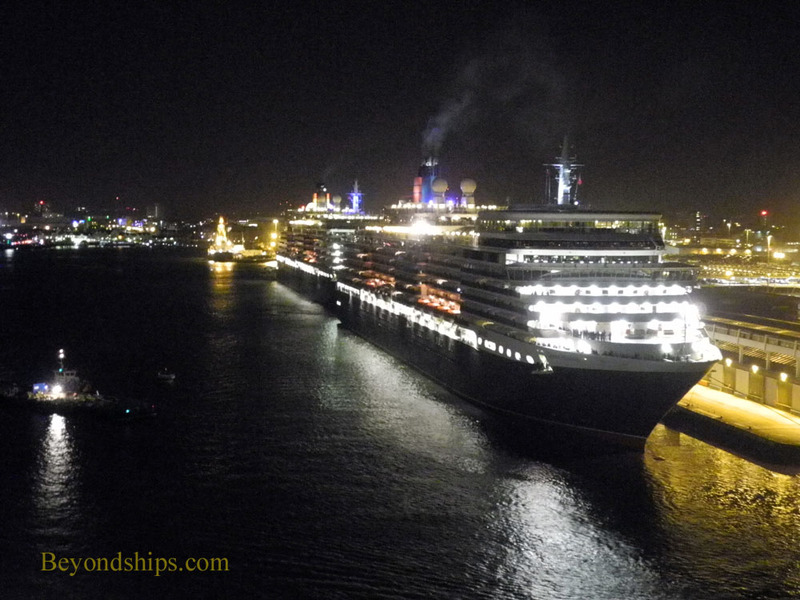 Here, she stopped so that the other Cunarders were just forward of her on the port side. 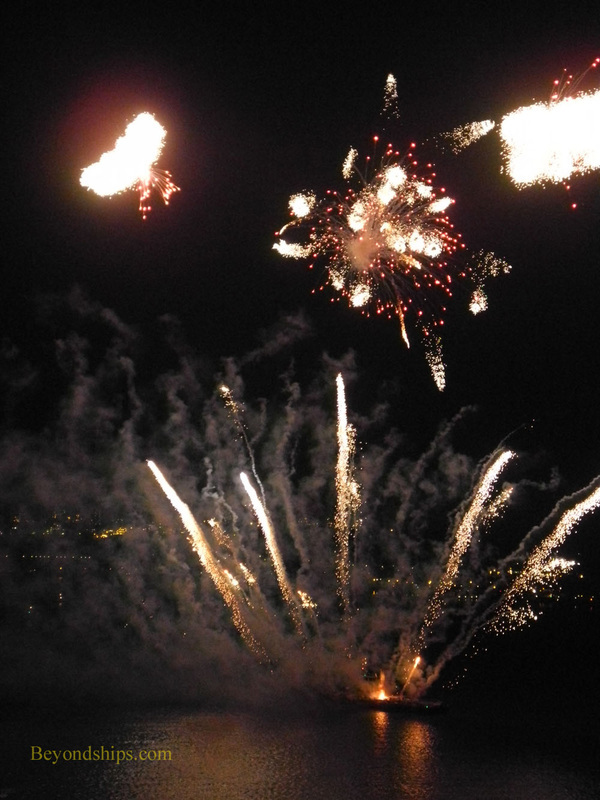 With the guest of honor in position, the fireworks display began. 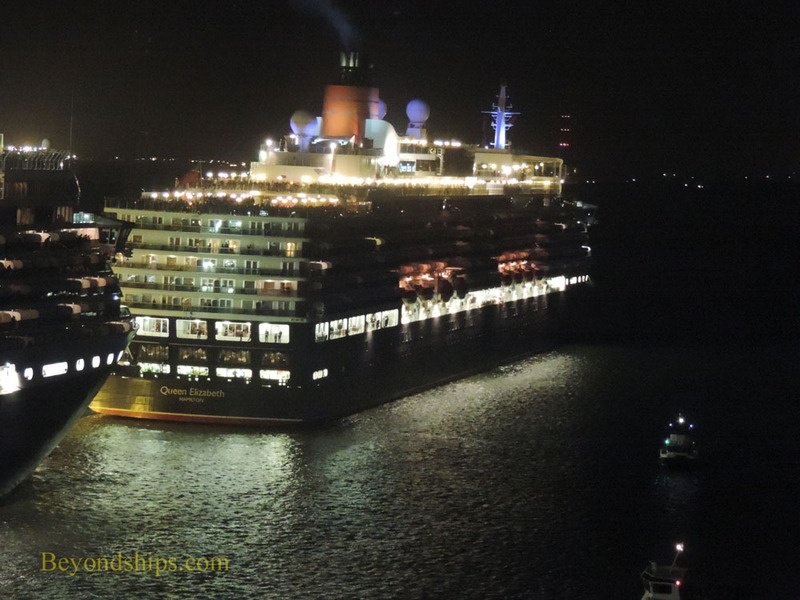 It was timed to be ten minutes long - - one minute for each year that Queen Mary 2 has been in service. 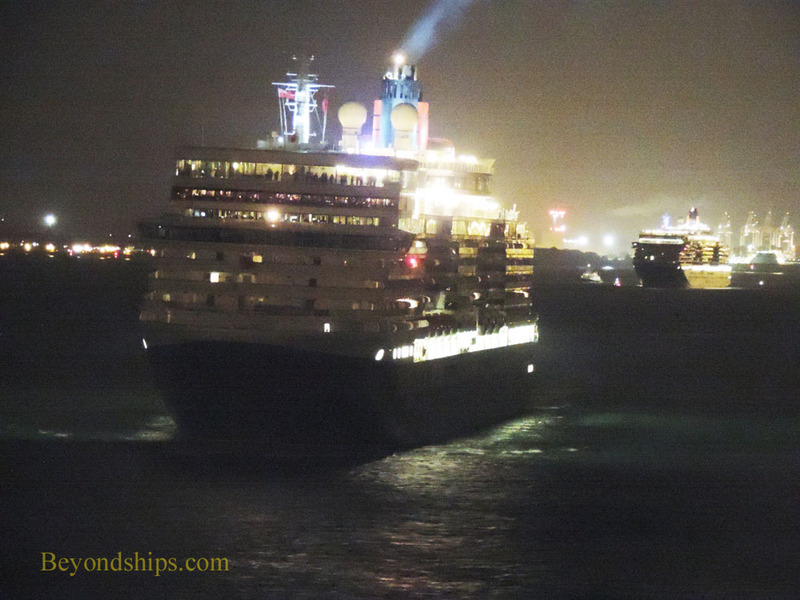 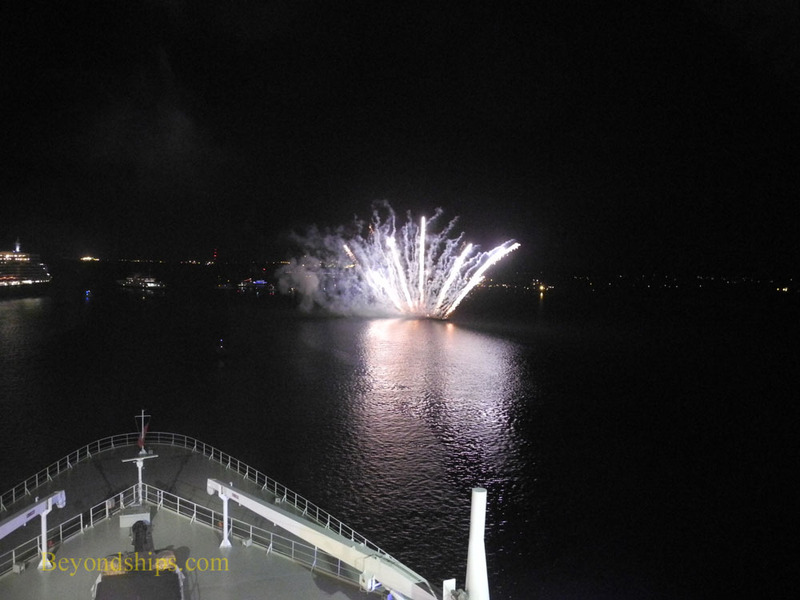 Following the fireworks display, Queen Mary 2 sailed past her fleetmates as the ships sounded salutes on their horns. 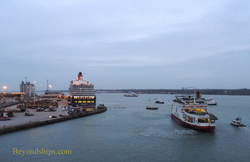 Queen Elizabeth and then Queen Victoria cast off and followed the flagship down Southampton Water and eventually out to sea where they went their separate ways.